The 2018 RAM 1500 is a vehicle that needs very little in the way of introduction. 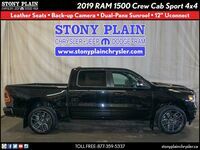 This capable pickup truck has endured itself to drivers by providing impressive performance and versatility. 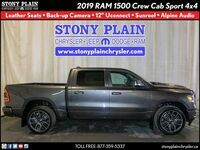 The 2018 RAM 1500 in Stony Plain AB offers multiple engine options and an extensive list of trim levels. Three engine options will be offered on the 2018 RAM 1500. The list of engine options starts off with a 3.6-liter V-6 engine. This engine produces 305 horsepower and 269 pound-feet of torque. 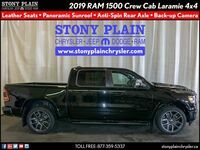 Next on the list of engine options is RAM's 5.7-liter V-8 engine, which increases the performance numbers to 395 horsepower and 410 pound-feet of torque. The final engine offered is the RaAM3.0-liter turbocharged diesel V-6 engine. This engine produces 240 horsepower and 420 pound-feet of torque while earning the best fuel economy ratings available on the truck. RAM 1500 models will be available in a total of 11 trim levels: Tradesman, Express, Big Horn, Sport, Night, Harvest, Lone Star Silver, Laramie, Rebel, Laramie Longhorn and Limited. Each trim level comes equipped with a different collection of comfort, utility and technology features. Comfort Features: Dual-zone automatic climate control, leather-wrapped steering wheel, heated and ventilated seats, wood interior trim, leather upholstery. Utility Features: Spray-in bedliner, Class IV hitch receiver, projector headlights, sport hood, blacked-out grille, all-terrain tires, skid plates, tow hooks. 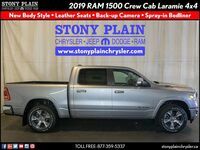 Technology Features: 110-volt power outlet, Uconnect touchscreen infotainment system, LED interior lighting, 10-speaker sound system, keyless entry and ignition, remote start, a navigation system, automatic high beams, front and rear parking sensors, rearview camera. 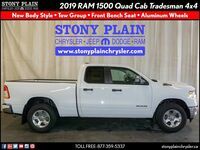 In addition to the multiple trim levels and engine options, the 2018 Ram 1500 is available with multiple cab options and bed lengths. The truck is available in regular cab, Quad cab and crew cab options, with standard, extended and short bed lengths.